In Redhill East, Jonathan Essex was re-elected, with an impressive 58% of the vote. 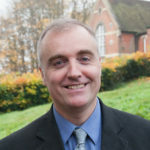 Jonathan has served on the Borough Council since 2010 and the County Council since 2014. 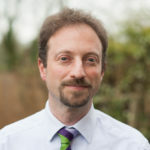 He is a Chartered Civil Engineer specialising in international development, and an active community campaigner. 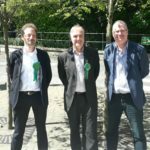 We now have a group of three Greens on Reigate & Banstead Borough Council once again, along with Steve McKenna in Redhill East. A huge thank you to everyone who helped secure these two wins, in many different ways. And thank you to everyone who voted Green. We never take votes for granted and our Councillors will work hard for you. Thank you also to the other Green candidates who stood across the Borough. You can see all the election results on the Council website.